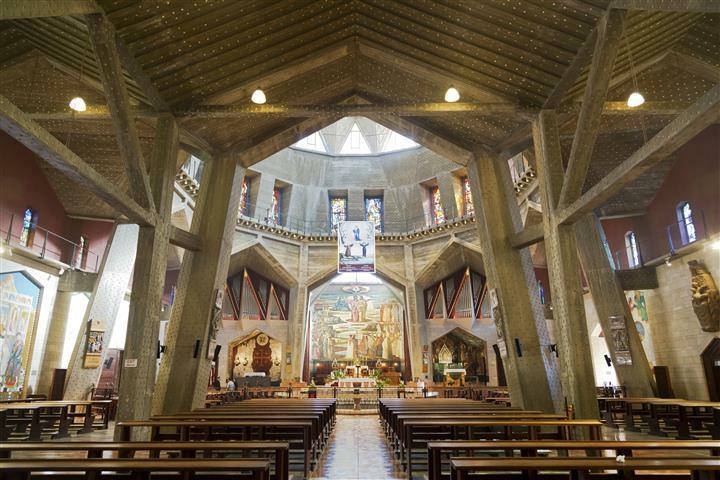 Nazareth is home to a mostly Arab population made up of Moslems and Christians. You can find dozens of Churches here. 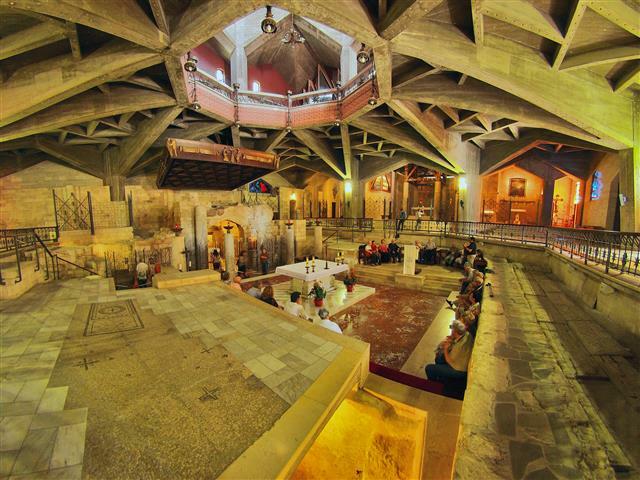 On this trip you will be taken to the Church of Annunciation and more. Capernaum is a very religious town for the Christians. It was originally a fishing town. Many excavations have been done here, and you will see some of them on your trip. They have found two synagogues that were built in different times one on top of the other. It was once St. Peters home, and you will be taken to the Church named after him. Golan Heights is the Northernmost part of Israel. It joins borders with Lebanon and Jordan. You will wee a magnificent overview of the 3 borders. Visit the Shalom Observatory. The scenery here ranges from hills to mountains, trees and flowers, it is absolutely breathtaking. 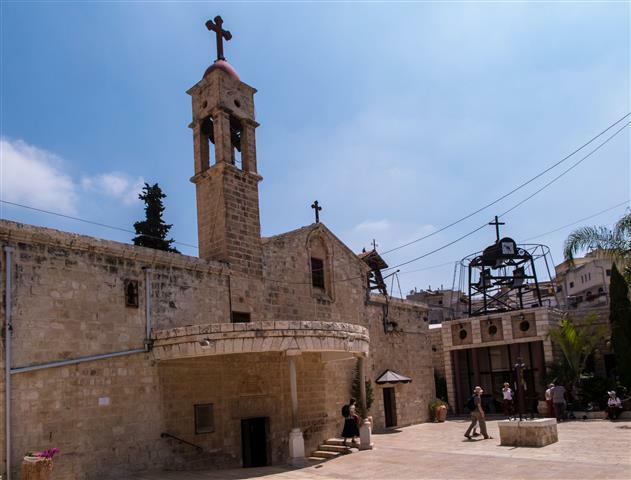 We will start the trip via the coastal plain and the valley of Armageddon, to the Churches of Annunciation, and St. Joseph in Nazareth and Capernaum Passing Cana and the Church of the Miracle of the Multiplication. At the foot of Mount Beatitudes, continue past Tiberias to Yardenit where it is possible to have a baptismal service for participants. Pass Mount Tabor on the return journey. Drive north along the coastal road to Poriya and overview of Sea of Galilee, Jordan Valley and Golan Heights. 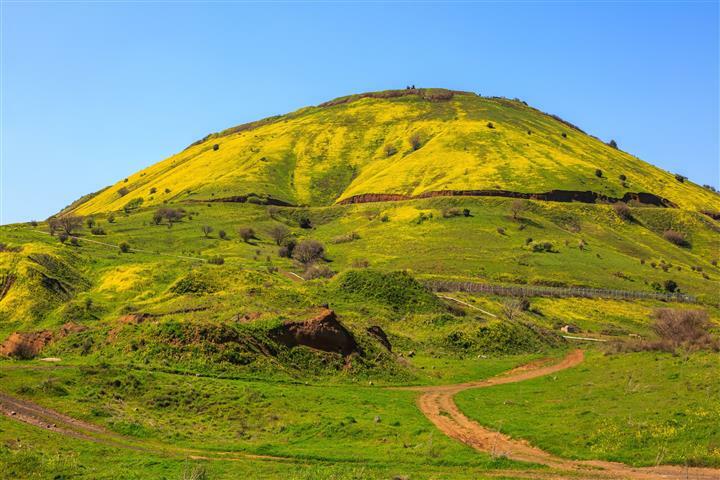 Continue to overlook of Hammat Gader and ascend the Golan Heights to Shalom Observatory. Onwards to the city of Katzrin, the museum and the excavations of Talmudic Katzrin. Visit the ancient synagogue of Katzrin. Ascend Mt Bental, overlook Kuneitra Valley and the triangular border with Syria, Jordan and Israel. Continue and stop at former Syrian fortification. 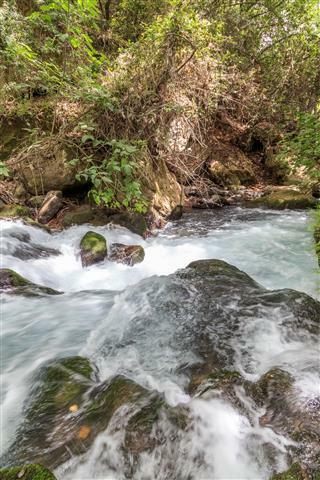 Return south to hotels via Jordan River. Capernaum and the Church of the Apostles. Kazerin. Single supplement per person,per night 60$. High season supplement per person,per night 70$.nt, (please state which city you are traveling from).